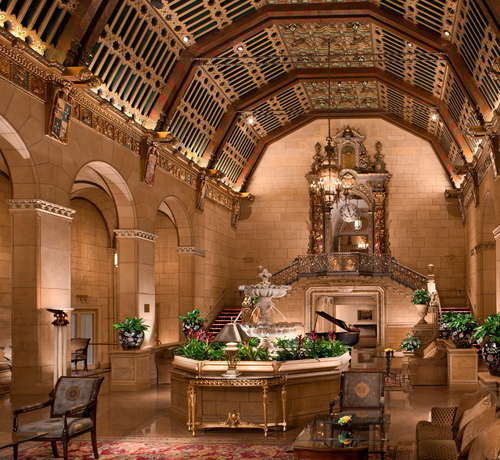 It’s often a cliché when people say, “they don’t build ‘em like this anymore.” But when it comes to the Millennium Biltmore, it couldn’t be more true. 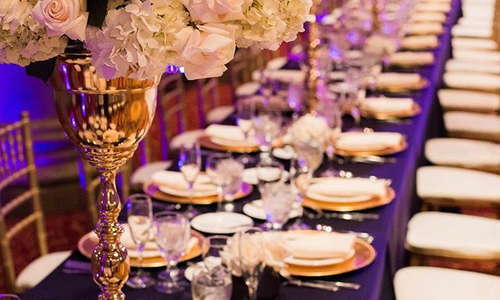 The property nearly occupies an entire city block and combines the glamour of the Hollywood Golden-Age with the style of an ornate Italian villa. 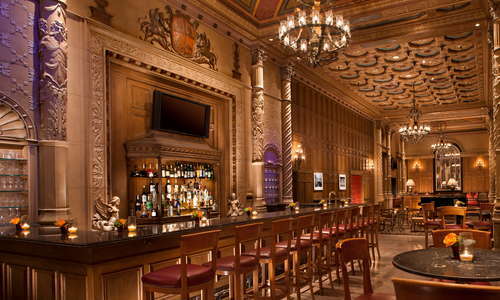 The hotel is officially a Los Angeles Historic-Cultural Monument and was built in 1923. It was the early home to eight Academy Award ceremonies in the 30s and 40s. 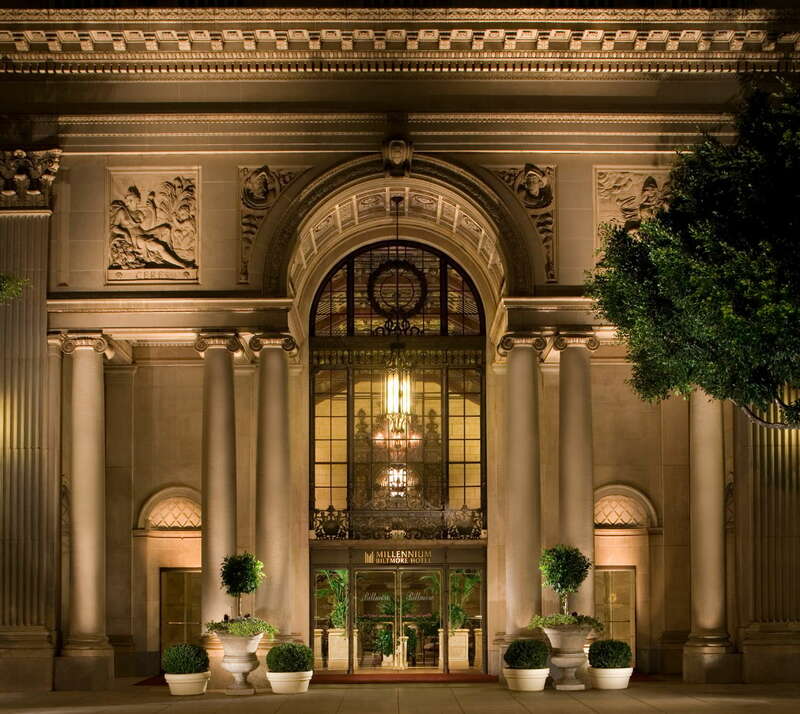 John F. Kennedy gave his 1960 presidential acceptance speech here. And the hotel has starred in over 50 movies and TV shows. 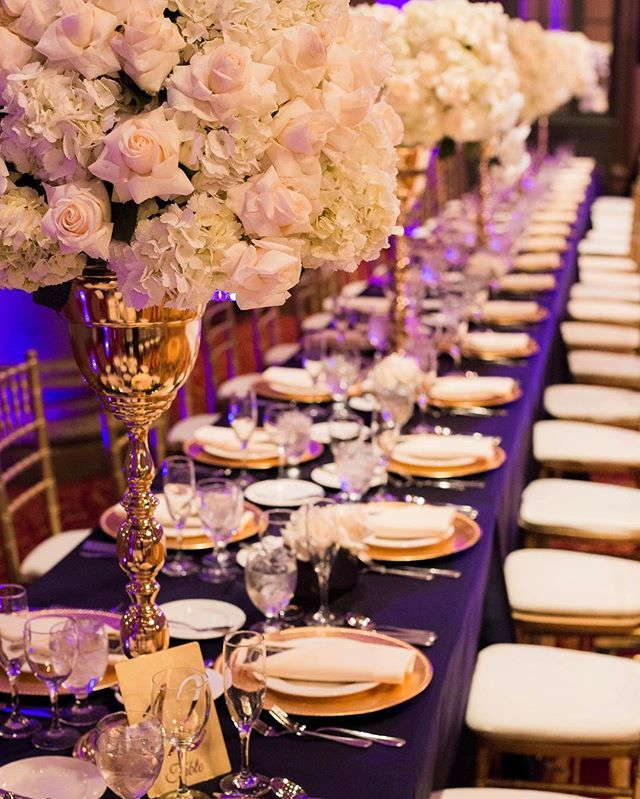 It’s not just a landmark, but a hotel that is known for high-end service, old-world elegance and the perfect setting for any event or occasion. 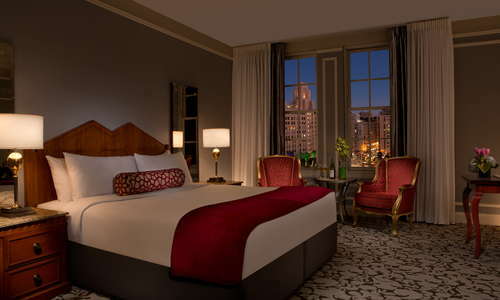 With 683 guest rooms, there’s no shortage of room types and sizes. 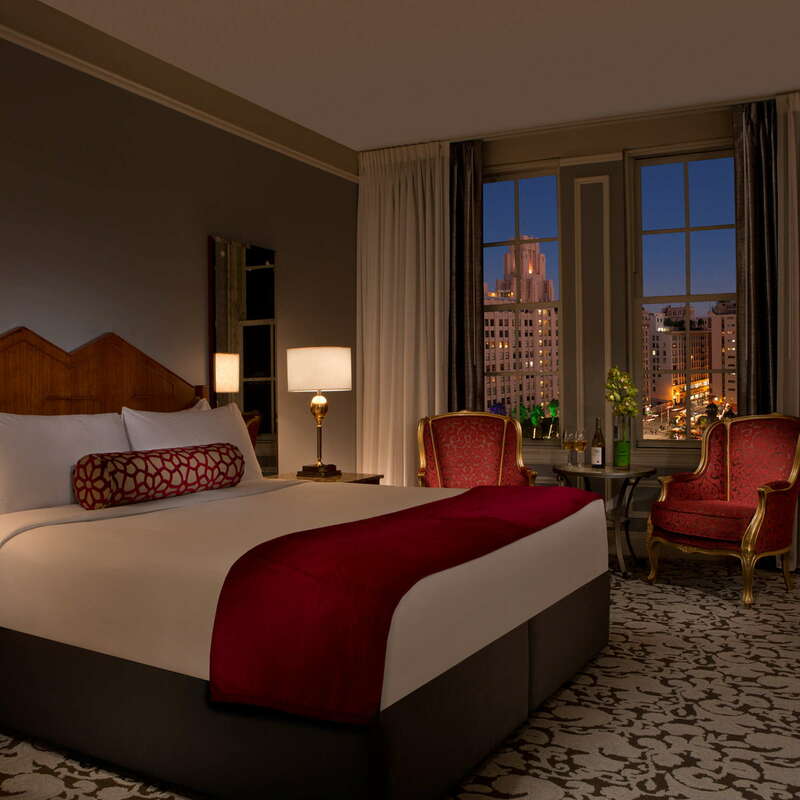 Guests can expect spacious accommodations, free Wi-Fi, in-room coffeemakers, gorgeous views of the city and a style that embraces its historic roots. If you book a Club Level room, you’ll receive access to the Club lounge with complimentary breakfast, free Wi-Fi and snacks and refreshments throughout the day. Standardized bathrooms come with white-tiled walk-in showers or shower/tub combos--but they feel a little old and dated. 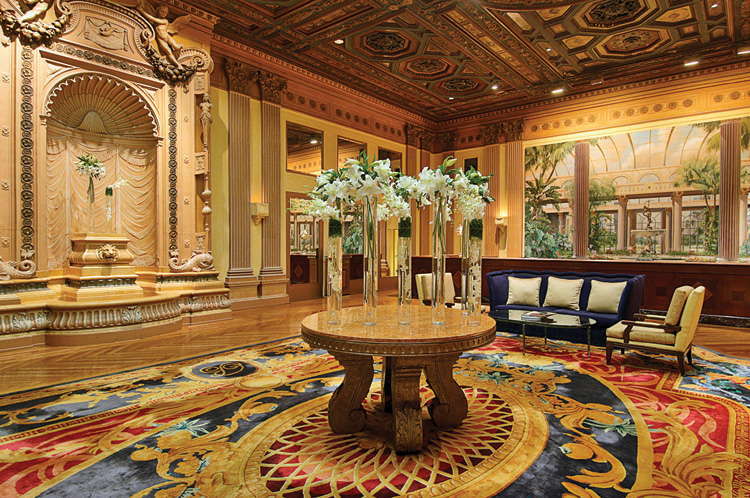 The lobby is reminiscent of the Vatican Museum in Rome with intricately designed frescoes, ornately carved ceilings and long epic hallways with arched ceilings and marble pillars. Explore the hallways and you’ll see old prints of the classic Academy Awards presentations and the likes of luminaries like Walt Disney or Louis B. Mayer. 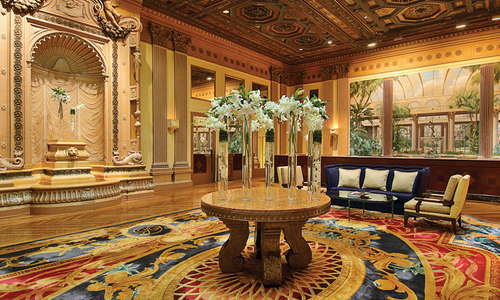 The indoor pool is a rare treat for Los Angeles hotels. The classic spot still features the original blue-painted cruise ship tiles and brass railings reminiscent of a Turkish hammam. A decent-sized fitness center wraps around the indoor pool, is equipped with standard cardio machines and free weights and is open 24-hours. There are dining options abound at this massive complex. Smeraldi’s is the main restaurant offering Italian breakfasts, lunch and dinner choices. Bugis, meanwhile, serves enticing Singaporean food and has multiple blocked off rooms for private dining experiences. If you need a coffee fix, head to the downstairs lobby where you’ll find Rendezvous Court with rich roasts and small snacks. Make sure you look up as its one of the most stunning areas of the hotel. 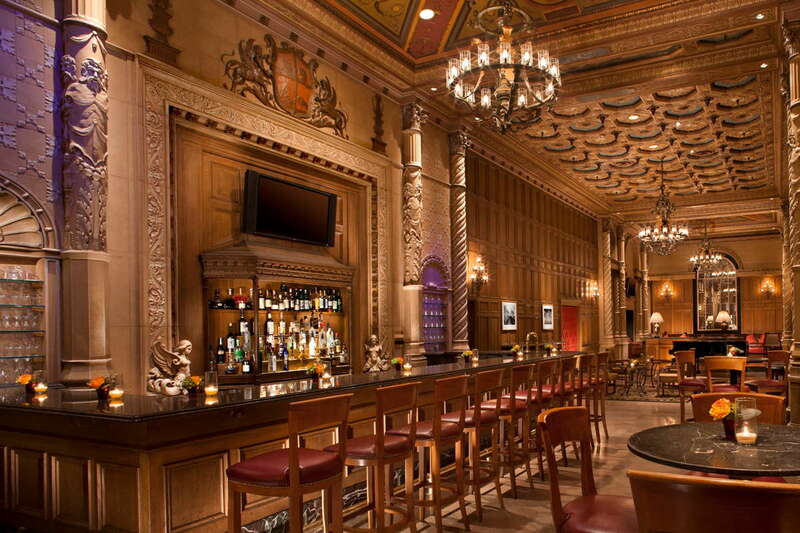 The Gallery Bar and Cognac Room is off the main lobby and offers signature cocktails and small bites. There’s a grand piano inside and guests will be treated to the occasional live jazz performance. The Biltmore’s location is ideal. You’re walking distance to bars, restaurants, shops, museums and theaters. Anything farther away, you can hop on the metro, which is right across the street and can take you to Santa Monica, Hollywood or Universal Studios. Renting a car here doesn’t make much sense when Uber and Lyft rides are readily available. If you’re willing to spend a little extra for a mouthwatering Omakase sushi experience, head over to Q (5-minute walk). Want one of the best French Dip sandwiches in the world? Check out Cole’s (11-minute walk), which has been serving the famed sandwich since 1908. Whiskey-lovers can’t pass up on Seven Grand (5-minute walk) with one of the best selections in town. If you want insane views with your vodka, head to Perch (4-minute walk) for rooftop drinks and DJs. There aren’t many hotels around the world that offers tours of their own property--but this classic spot is one of them. The art, architecture and design are stunning, to say the least, making you feel that you’ve entered a gilded age and maybe a foreign country. The staff here is incredibly friendly and able to assist in any want or need. While there are some dated features and no spa, the hotel is perfect for families, wedding groups and international tourists who want to experience a piece of LA history.